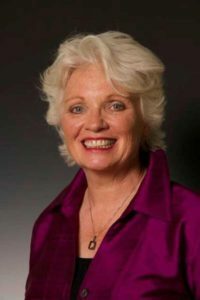 For the first time ever, Dr. Linda Howe is coming to Canada and she will be teaching her very latest work: Manifesting Your Destiny through the Akashic Records. You know you’re meant for something greater. Are you ready for your gifts to be recognized and enjoyed? Is it finally time to clear the blocks holding you back from participating wholeheartedly in life? 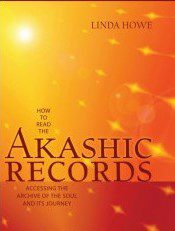 Discover for yourself the immense value of seeing and knowing yourself through the unconditionally loving lens of your Soul — the Akashic Records. After that, nothing is the same! Your awesome opportunity as an awakening individual is to envision your Destiny, recognize your Soul’s Intentions, and then, bring your Inspired Purposes to Life. This is the lifetime to embrace the freedom that allows you to make the fulfilling contributions held deep in your heart. This is your chance to study in person with Dr. Linda Howe, the world’s foremost authority on using the Akashic Records, the vibrational archive of all souls, for personal empowerment and transformation. This class is based on her very latest exploratory work in the Records. 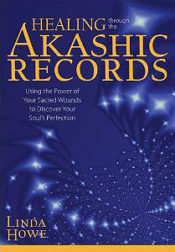 On the 10th anniversary of Dr. Linda Howe’s breakthrough book, How to Read the Akashic Records, she is gifting a free, personally autographed copy to every registered student. To receive Certification, attendance is required at all sessions. As a prerequisite to the class, you are required to read Discover Your Soul’s Path through the Akashic Records by Dr. Linda Howe available through Amazon or your local bookstore. On Saturday Evening, from 7:00 pm to 9:00 pm, we will host a public book signing, where all of Dr. Howe’s books will be available for purchase or you can bring your own copies for her to sign. * You – A Spiritual Being in a Material World – Experiencing, Expressing, and Enjoying Yourself and Your Life! Dr. Linda Howe is the leading expert specializing in using the Akashic Records for personal empowerment and consciousness development. By making her Pathway Prayer Process© freely available to all, she became the first person to bring access to the Records, the energetic archive of souls, to the world community. A teacher in the field since 1996, Linda founded the Center for Akashic Studies in 2001. Her comprehensive, inspired curriculum has been revealed to her through her relationship with the Akasha and refined through her work with thousands of students over the years. Through her in-person and online classes and award-winning books, she shares optimal ways to tap into the eternal wisdom of the soul for practical application in everyday life. 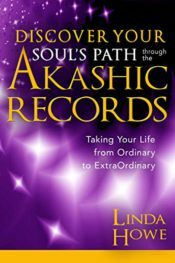 Linda’s books include the ground-breaking How to Read the Akashic Records, Healing through the Akashic Records, and Discover Your Soul’s Path through the Akashic Records. She is currently writing a book on Manifesting. Linda holds a Doctorate in Spiritual Studies with a specialty in the Akashic Records from Emerson Theological Institute. Option: Make three payments of $325 CND$ each by May 11, 2019. Note: there is a $25 service charge. All sales are final and there will be no returns or exchanges. There is a block of rooms that you can book with rates starting from $99 for a 1 King or 2 Queen Room. Just mention “Heart and Soul Healing” to receive this special rate which is for call-in reservations only. This hotel is just a 3-minute shuttle ride from the Edmonton International Airport or a 10-minute drive from Edmonton. Email * Use the email you want correspondence from this course to go to. Name on Certificate * This is a certification course through the Linda Howe Center for Akashic Studies. Please write your name how you want it to appear on your certificate. Please leave any comments or questions you might have. With interest to your wonderful work on the Akashic records ! * However I do reside in the England in United Kingdom ! in Europe or the United Kingdom in 2019 ? I forwarded your comment to Linda Howe’s office so they can tell you her schedule.